Drug eluting balloon is a semi-compliant angioplasty balloon, coated with anti-proliferative medicine. The medicine is ejected to the vessel walls during the inflation of the balloon. The balloons are inflated through application of nominal pressure. The active substance of the balloon is highly lipophilic in nature. Drug eluting balloon homogeneously delivers the drug to the vessel and prevents neointimal hyperplasia (proliferation of vascular smooth muscle and thickening of arterial wall, thus reducing the arterial lumen space). The device has gained popularity as it helps in effective treatment of in-stent restenosis as compared to drug eluting stent or bare metal stent. 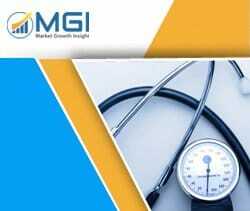 Rise in peripheral and coronary artery diseases among the geriatric population is likely to drive the global drug eluting balloon market in the near future. This report studies the global Drug-Eluting Balloons market status and forecast, categorizes the global Drug-Eluting Balloons market size (value & volume) by manufacturers, type, application, and region. This report focuses on the top manufacturers in North America, Europe, Japan, China, and other regions (India, Southeast Asia). Focuses on the key Drug-Eluting Balloons manufacturers, to study the capacity, production, value, market share and development plans in future. Regional and country-level analysis of the Drug-Eluting Balloons market, by end-use.